Chicago temperatures have been well below normal throughout the first half of April, the National Weather Service said Monday. This year, the Windy City endured its fourth coldest start to April in recorded history—dating back to the 1870s. The 2018 average temperature from April 1 to April 15 was 36.5 degrees. The coldest start to the month was recorded in 1881 with an average temperature of 33 degrees, followed by 35.7 degrees in 1975. As of Monday, locals have been experiencing windy, cold temperatures with a sprinkle of sporadic snow showers. 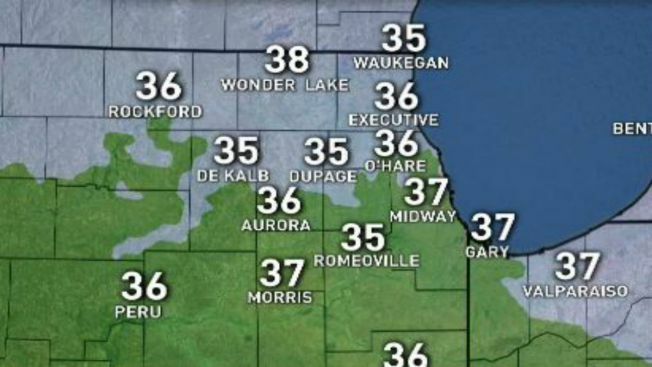 Make sure you track Chicago's wet weather on our Interactive Radar, here.